In the spring of 1965, the Art Institute of Chicago acquired a magnificent Late Classic Maya carved panel depicting two ballplayers. An inscription identifies one as Chak Kutz (Great or Red Turkey) and tells of his witnessing a calendar ritual at Oxte'tun (Three Stone Place) in A.D. 690. Bought from New York antiquities dealer Walter Randall for $12,500, the limestone panel is one of more than two dozen sculptures that have entered this country since 1960, sawn off monuments at a place known to archaeologists only as Site Q.The search for Site Q (the letter stands for "¿qué? ", Spanish for "which?") 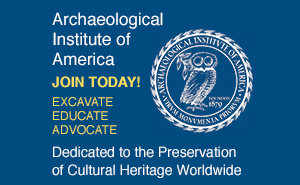 began in the late 1970s when Peter Mathews, then a Yale graduate student, noticed that the inscriptions on a number of unprovenienced monuments in American and European collections, many of which were text panels, shared several epigraphic features, most notably an enigmatic emblem glyph bearing a snake head, possibly the name of the site from which the sculptures had been taken. Furthermore, the texts on some panels continued on others, proving that the monuments had been broken apart to ease their export and facilitate their sale. With the help of Ian Graham of Harvard's Peabody Museum and William Ringle of Davidson College, Mathews compiled a catalog of the sculptures--30 to 35 in all--detailing their whereabouts, measurements, and discernible glyphs. To it he attached drawings of the sculptures contributed by colleagues. Circulated in photocopied form, the manuscript remains the most comprehensive work on the monuments to date. Based on the sculptures' extraordinary workmanship and the fine, marble-like quality of the limestone in which they were carved, Yale University's Michael Coe suggested that the plundered site probably lay along the Usumacinta River, the border between Guatemala and Mexico, a region well known for its superb sculptures. An important ancient trade route, the river cuts through the heart of the Lowland Maya world. When Graham began investigating the heavily looted Late Classic site of El Perú, which he had discovered in 1972 near the Río San Pedro in the Petén region of Guatemala, he speculated that the monuments might have come from there. Within a few years, however, Stephen Houston of Brigham Young University identified El Perú's emblem glyph, a series of symbols that we now know to read phonetically ?-nal-wak. Though several inscriptions found at the site contained the snake-head emblem glyph, it was clear from the syntax that it was the name of a foreign place. El Perú was dismissed as a candidate for Site Q. Nonetheless, two of Mathews' monuments, which he had labeled stelae 1 and 2 and which are now in the collections of the Kimbell Art Museum in Fort Worth and the Cleveland Museum of Art, had in fact come from El Perú, as their shattered bases, found at the site, proved. Meanwhile, Calakmul, in southern Campeche, Mexico, was gaining recognition as a candidate for the mysterious snake-head state, an idea put forth some years earlier by Joyce Marcus of the University of Michigan at Ann Arbor. With more than 6,000 visible structures, Calakmul ranks among the largest sites in the Maya Lowlands. In 1989 Houston and David Stuart, then a graduate student at Vanderbilt University, identified two place names that appeared in several Calakmul inscriptions, Oxte'tun (Three Stone Place) and Nab Tunich, the meaning of which is still unclear, and suggested that these were the names of places controlled by the snake-head state. In 1994, British epigrapher Simon Martin revised the reading of Nab Tunich to Chik Nab (one of numerous possible translations being Waterlily Tree), and confirmed the association of both place names with Calakmul in inscriptions on fragments of monuments newly unearthed at the site. For Martin and others, Calakmul's identity as the snake-head state is secure. But to assign the Site Q sculptures to Calakmul is another matter. For example, the stone of the Site Q monuments, particularly of the six ballplayer panels, is far superior to the stone used to carve sculptures at Calakmul, which is quite porous and crumbly. According to Martin, those at Calakmul are in such poor condition that they are hardly worth removing. Looters took a few pieces from the site in the decade following its discovery, but fortunately they were photographed prior to their theft, and, in all but one case, their current whereabouts are known. If Calakmul is the snake-head state, why does its glyph figure so prominently in texts on monuments that clearly did not come from that site? The snake-head emblem glyph has been found in inscriptions at sites in Belize, Guatemala, Honduras, and Mexico, attesting the site's once preeminent position in the Classic Maya world (see ARCHAEOLOGY, November/December 1995). Unlike the majority of these inscriptions, however, references to the snake-head state on Site Q monuments describe it not as a foreign polity, but rather as a sovereign, suggesting that the sculptures came from a site, or even sites, under Calakmul's dominion too weak to possess an emblem glyph. While Martin, Stuart, and others believe that Calakmul is the snake-head state and that the monuments assigned to Site Q belong to at least one of Calakmul's subordinate polities, scholars such as Richard Hansen of the University of California, Los Angeles, contend that Site Q and the snake-head site are one and the same city, whose ruins have yet to be found. "Based on the epigraphic evidence, Calakmul is the strongest candidate for the snake-head site put forth to date," says Hansen, "but there are a lot of really big sites out there in the Petén, such as Nadz Can and Naachtún, southeast of Calakmul, where little or no work has been done. Until we have examined these sites, I think it's just too early to pass judgment on whether Calakmul is the snake-head site. We may find far better epigraphic evidence at the site from which the sculptures in Mathews' catalog were taken." 1. Those belonging to El Perú, which include the Kimbell and Cleveland stelae (now known as El Perú stelae 33 and 34), a side panel from stela 33 (sold as a separate artifact), and possibly an altar now in the Dallas Museum of Art. The two stelae have carved dates corresponding to the early 690s. 2. Two square stone blocks, one in the Denver Art Museum, the other in the San Bernardino County Museum, together bearing eight glyphs recording a long-count date of 9.15.1.6.15, or December 29, A.D. 732, some 40 years after the dates carved on most of the other sculptures on Mathews' list. Most scholars agree that these two blocks belong together, but how they fit with the other monuments is still unclear. 3. The remaining 23 sculptures, which can be broken into two stylistic groups: The first includes four text blocks with 12 glyphs each (Mathews' panels A.D.) and two large slabs with hieroglyphic inscriptions, each of which was split in half (Mathews' panels 1, 2, and 3, and a fragment, which was recently identified in a private collection, designated panel 4). The second group includes six ballplayer sculptures and a series of nine text blocks, five of which have inverted L-shaped inscriptions. In nearly all cases the sculptures were sawn off their blocks and are only one to two inches thick. "While the first group came from at least three monuments," says Stuart, "Coe suggested some time ago that the second group of  sculptures may have come from a single structure, possibly serving as risers for a ballplayer staircase much like the one adorning Yaxchilán structure 33, built sometime around A.D. 761." But where did the Site Q staircase come from? A possible breakthrough came with the discovery of La Corona, a site in the northern drainage area of the San Pedro, 40 miles south of Calakmul. "The new site in the Petén is very interesting in lots of ways," says Stuart, who with Graham, traveled there in May. "On the first day we found two clear references to Great or Red Turkey, one of the ballplayers mentioned by name on the Art Institute of Chicago panel. The site has been heavily looted, monuments have been broken apart, and there are tunnels and trenches all over the place. Scattered on the jungle floor we found several blanks [dressed stone blocks that were not inscribed] that are similar in size and shape to the L-shaped panel group--perhaps risers for the staircase from which the ballplayer panels came. The inscriptions at La Corona also include numerous references to political events involving the snake-head site. While the evidence is intriguing, it is likely to be some time before we know for sure just how many of the Site Q monuments might have come from this ancient city." If Stuart and Graham determine that the 15 panels in the ballplayer group come from La Corona, only ten unprovenienced sculptures will remain on Mathews' list. Where they come from, only time will tell. Documenting how these sculptures came to be in collections here and abroad has been the recent work of Hansen, who, like Graham and Boston University's Clemency Chase Coggins, has spent decades tracking looted artifacts from their origins at undocumented sites to their arrival in museums and private collections. "None of these sculptures entered this country legally," says Hansen. "There have been patrimony laws on the books in both Mexico and Guatemala since the middle part of this century." According to Hansen, sculpture continues to be stripped from sites at an alarming rate, but ceramics are now the most commonly looted artifacts, in particular so-called codex-style ceramics, black-line-on-cream wares that depict mythological and historical scenes. While many of these bear the snake-head emblem glyph, according to Martin, like the monuments on Mathews' list they do not appear to come from Calakmul, a site that has produced few such ceramics. "One codex-style vase was recovered during the excavation of a tomb within the site's temple 2," says Martin, "however, the pottery was clearly of a different clay, made by potters in Nakbé." Prices for Maya artifacts have skyrocketed in the three decades since the ballplayer panels sold for between $10,000 and $15,000 each and the panels with L-shaped texts for $1,500, says Hansen. The money offered for artifacts, compounded by a steep decline in the market for chicle (the primary ingredient in chewing gum), is a big incentive for chicleros to participate in the looting business. Local dealers will pay a looter as much as $1,000 for a single polychrome plate, for which a gallery in New York or Brussels will pay $20,000 to $30,000. Museums and private collectors will often pay more than twice that, as attested by the recent sale of a Late Classic Maya plate with the painted image of a scribe at Sotheby's for $112,000. The price would have been far higher if the plate had not been broken and repaired in a number of places. According to Hansen, many of the dealers and the looters they hire operate out of Carmelita, in the heart of the Petén. Artifacts are loaded on trucks and driven across the border to Belize, and from there shipped on to Belgium. They are then brought into the United States with few restrictions given their European point of origin. "Looting is big business in this part of Central America, especially in the Mirador Basin [in the far north-central Petén region], which is rich in undocumented archaeological sites," says Hansen . This past April, Guatemala embarked on a twofold campaign to recover its lost heritage. The country will document its own collections and seek restitution of all artifacts exported from the country illegally. It has also entered into negotiations with one American museum for the return of a monument taken from El Perú. See also "Site Q Sculptures"
Angela M.H. 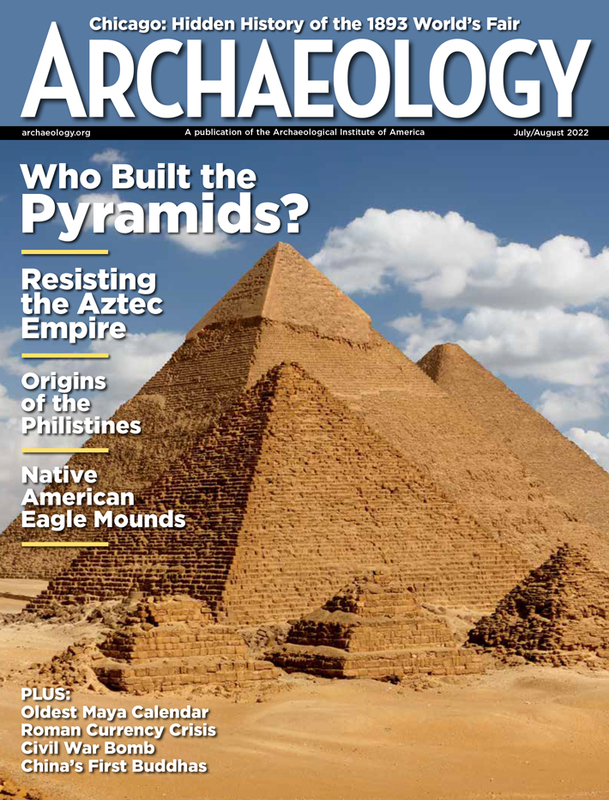 Schuster is an associate editor of ARCHAEOLOGY.